Moving On is now available as an e-book! We’re pleased to announce that the new e-book edition of Moving On: A Practical Guide to Downsizing the Family Home is now available. It’s updated, with live links to a variety of helpful resources. If you’ll be gathering with family over the holidays and plan to talk about transitions in living arrangements, our book can help make the conversations go easier and the planning process smoother. And…this is one book that won’t add to the clutter! Linda Hetzer and Janet Hulstrand are coauthors of Moving On: A Practical Guide to Downsizing the Family Home, now available as an e-book. Our last post was a hymn to the value of occasional procrastination, by my coauthor. And I think that was a very appropriate summertime post. If you can’t kick back and relax at least a little bit during the summer, when can you? 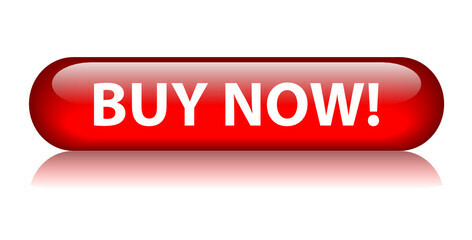 Of course if you are like me you like to make sure you are never truly wasting time, even when you are procrastinating. So I thought I would follow up our post on procrastination with a list of “beach reading.” About downsizing the home. Well, I’ve never really believed in the concept that beach reading should be different than any other reading. Why would you want to waste your time reading something not worth reading just because you are at the beach? Okay, I admit it. Since reading about downsizing the home would almost inevitably include some list-making, perhaps it’s really not such great beach reading. But it could be excellent vacation reading for some people. So if you are in the process of procrastinating about downsizing your home and getting rid of stuff, and maybe are feeling a bit guilty about it, here are a few books that you might want to take a look at while you are cooling your heels somewhere nice, and getting ready to re-engage with the task of downsizing once you get home. 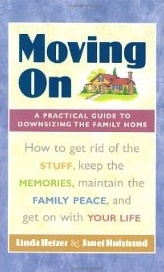 Moving On: A Practical Guide to Downsizing the Family Home Full disclosure: this is the book WE wrote. And we’re very pleased to report that many people have told us that it has been very helpful to them and their families as they entered, and worked their way through, the process of going through and dividing up all the “stuff” in their homes. We hope you may find it helpful too. Stuff: Compulsive Hoarding and the Meaning of Things by Randy Frost and Gail Skeketee. Hoarders take it to an extreme, but many of us have trouble letting go of things. This is a very interesting, intelligent and informed, and compassionate look at an affliction that has gotten a lot of press in recent years, and far too often not enough understanding, by two people who have devoted their careers to studying this phenomenon. Who Gets Grandma’s Yellow Pie Plate? A very practical, helpful workbook and guide for families starting out the process of dividing the possessions in an estate, by social scientist Marlene Stum at the University of Minnesota. Wishing you happy reading, happy relaxing, and happy (and productive) procrastinating!